This strange background behind me is the hide or skin of a type of mushroom: Ganoderma Lucidum. This is a traditional type of fungus that has been used for medicine in Asia for millennia. That we grew at MycoWorks. This behaves and acts a lot like animal skin, so this is really the starting point, imagining it as leather. It takes 2 weeks. It's crazy. Mushrooms grow at an exponential rate, so it's more how fast can we keep up with the organism. By comparison, a piece of cow hide the same size takes 2 years to grow. And that takes a lot of resources, a lot of food, and a lot of time to create that animal for our use. Our materials start off as agricultural waste: corn cobs, hemp herds, paper pulp waste, rice hulls, sawdust. All these bags of white stuff behind me, that's the mushroom that is eating the sawdust. We give the mushroom types of food that it might like, or dislike. And the other things we do is manipulate it's immediate environment: it's temperature, humidity levels, the amount of light, and the exchange of gas. And that's it! We've only been working with this material for about 3 months. We started first to test it for tensile strength. In that time period we've taken it from being as strong or stronger than lamb, sheep and synthetic leather. And now we have it as strong as deer skin. Another thing that these types of mushrooms here can make are kind of synthetic woods. V. interesting. I've mentioned fungi furniture before as a possible technology for Mars. I didn't realise it was so versatile as to be a leather substitute. Of course you realize the furniture is made by growing mushrooms on sawdust. That means you still need sawdust to start with. I wonder what you could make with rice husks, wheat chaff, corn cobs, straw, etc? I think fungi can feed off most organic material...I am sure there must be alternatives to sawdust. How about bamboo dust? Bamboo plants can be grown to tree-like dimensions in a few weeks. Re the above, looks like "bamboo powder" is the correct term. They're playing with conditions to make different materials: feed, temperature, humidity, light, gas exchange. But bamboo could be interesting. Because it grows so fast, it has long been proposed for Mars. Hardwood floors can be made with it. But you can compost plant material to produce soil conditioner: leaves, stems, etc. Oriented structural straw board (OSSB) can be made from wheat straw. Yes, this all looks v. promising. I think Mars could be a proving ground for alternatives to the domesticated animal industry whether it be leather, meat, or milk. All very exciting I think. Mushrooms can be grown much like plants in a garden, and can be considered a crop for land use purposes. The main difference for our purposes is that fungi are heterotrophs, which means that unlike plants they are unable to produce their own organic material and must get it from somewhere else. However, as discussed before this organic material can be as simple as sawdust, and fungi have been known to grow on CDs. I was thinking about growing mushrooms in human feces, and this does seem to be viable according to https://sustainablefoodtrust.org/articl … ient-loop/, although another use of human waste would be to put methanogens in it to produce methane for the colony, which I guess would be more energy efficient. Speaking of efficiency, animals tend to only absorb about 10% of the biomass of what they eat, so herbivores tend to absorb 10% of the biomass of the plants they eat, carnivores tend to absorb about 10% of the herbivores they eat, and so on. According to https://www.ecologycenter.us/species-ri … hways.html, creating an analog of such a figure for bacteria and fungi is difficult since they don't defecate, though we can assume an efficiency of ~100%, meaning that the fungi can in theory absorb all of the organic material it eats, although much of that is lost to respiration. In any case I think fungi are far more efficient than animals and should be used by an early colony for food and for other things as said in this thread. This just goes to show that waste stream manangement for each type is required from the moment that we reach mars and also with the journey as to not waste a resource that cost use to bring it along the way. Each type of mushroom likes its own environment or moisture, light and temperature in addition to its food source to make it live so that we can use it for food or materials. One of the hundred things that bothered me about The 100 is that they had no possible chance of survival, even aside from their suicidal population explosion, but it's hard to believe they even had the ability to make any clothing on space stations that were assumed to have non-stop supplies from Earth. Or at least, they never explained how they survived. A far better show would have been about the first 100 years and how they managed. I agree on Mushroom but make sure, before transporting mushroom in Mars, it is not contaminated with other fungal species which could cause a disease in mushrooms, plants, and humans. I'm Jayson from the Philippines. I am a Master's degree student in University of the Philippines Los Banos, Laguna. My major is Botany (specializing in Plant Physiology), and minor in Agronomy. My research interests are Phytoremediation, Plant-Microbe Interaction, Plant Nutrition, and Plant Stress Physiology. Mushrooms growing leather, wood bricks, glass, and even metals? This means our Martian colonists can have wood furniture with leather upholstery, flight jackets, belts, gloves, and boots. The question will be on how many cycles of going to mars and learning how to stay there permananetly will it take before we can even think of some of our many ideas to bring mars from zero to a world that we can enjoy living on. Once the mushroom was grown on Mars, settlers must learn how to culture mushroom spores, in order to produce more mushroom in space. More agar supply is needed for the production of culture media for mushroom spores. 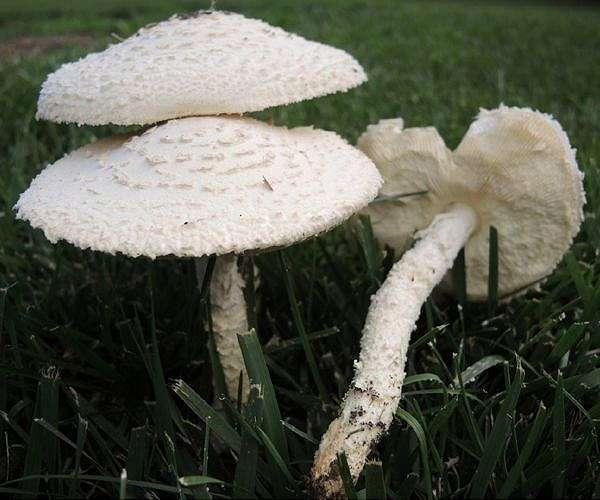 For the source of mushroom substrates, I recommend the agricultural waste like dead plants. topping off a homemade pizza, thickly sliced in her famous spaghetti, sauteed and folded into a hearty omelette, sliced and diced in a casserole, whole button mushrooms stuffed with sausage and cornbread filling. Enoki Mushrooms. These mushrooms are also known as Enokitake or Enokidake. Cremini Mushrooms. Cremini mushrooms are also known as baby bellas,.